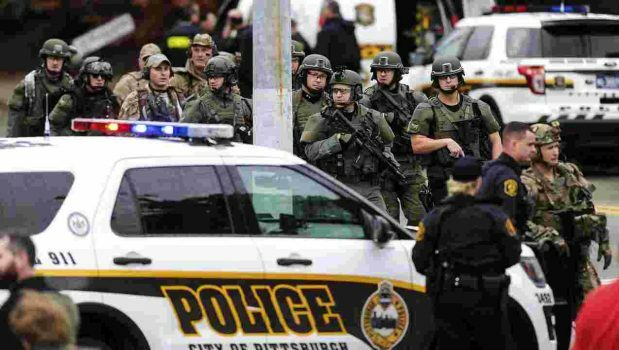 The city of Pittsburgh in the US state of Pennsylvania witnessed an unusual form of terror on Saturday as a lone gunman entered into a synagogue packed with worshippers and opened fire. At the end of the attack, eleven people laid dead . Several other persons including three policemen were seriously injured. The gunman who has been identified as 46-year-old Robert Bowers was overpowered by superior fire power from the police and forced to surrender. He is now in custody of law enforcement and has been charged with 29 federal counts, including 11 counts of use of a firearm to commit murder during a crime of violence. Bowers entered into the Tree of Life Synagogue and indiscriminately fired inside while shouting, “All Jews must die.” He was armed with an assault rifle and at least three handguns during the 20-minute assault.